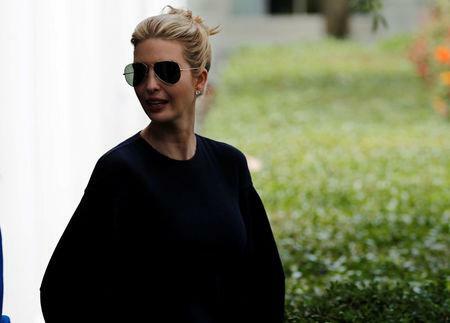 BEIJING (Reuters) - Ivanka Trump did not accompany her father to Singapore for his summit with Kim Jong Un, but in an apparent show of support, tweeted what she described as a Chinese proverb: "Those who say it can not be done, should not interrupt those doing it." China's social media has been abuzz with debate over the origin of the quote, screenshots of which have been widely shared among users on mainland China since Tuesday. Twitter is banned in China.